Almaty city in southern Kazakhstan should study active seismic faults to be better prepared for a new devastating earthquake that is "more likely to happen than not", Cambridge University Professor James Jackson who came to Almaty to establish cooperation with local scientists is quoted by Tengrinews as saying. 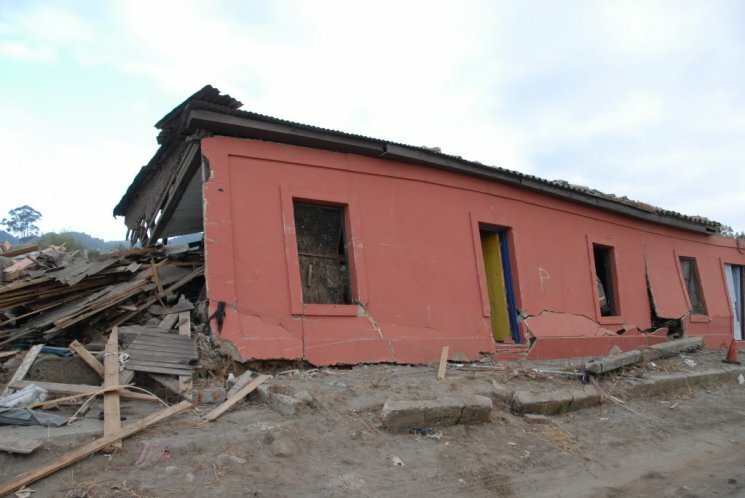 The earthquake threat has always been a problem for Almaty. The 1.5-million-people city is located in the area where an 8-magnitude earthquake that can leave tens of thousands dead and hundreds of thousands injured and homeless is a dreadful but realistic scenario. So both people and authorities are eager to find our what ease can be done to minimise the aftermath of an earthquake like that. Dr. James Jackson, 59, FRS, is Professor of Active Tectonics and Head of Bullard Laboratories, Department of Earth Sciences, Cambridge University. He made his name in geophysics, using earthquake source seismology to examine how continents are deformed. His central research focus is to observe the active processes shaping our continents. Professor Jackson came to Kazakhstan to lecture in Almaty-based Satpayev Kazakh National Technical University on September 3-4 as part of Cambridge University's Earthquakes Without Frontiers project. Its goal is to collect the knowledge and expedience of scientists from all over the world and use it to minimise the aftermath of strong earthquakes. The five-year study that commenced 3 years ago targets the Alpine-Himalayan belt stretching from Italy, Greece and Turkey, across the Middle East, Iran and Central Asia, to China. Kazakhstan's south is part of this belt. The southern seismic active zone of Kazakhstan is a part of the North Tian-Shan ridge system. And Zailiyskiy Alatau mountains are located 15 minutes drive from Almaty, Kazakhstan's most populated city. Earthquakes of small magnitude are fairly frequent in the area. And the maximum magnitudes of expected earthquakes range from 6.0 to 8.3. Almaty city was destroyed by devastating earthquakes several times. In recorded history catastrophic earthquakes in Almaty took place in 1770, 1807, 1865, 1887, 1889 and 1911. In each of these earthquakes the city was heavily destroyed but was rebuilt every time.